← How to open a bottle of wine using your shoe.. So, here’s one of the things I don’t like about WordPress…the inability to include photos in comments. 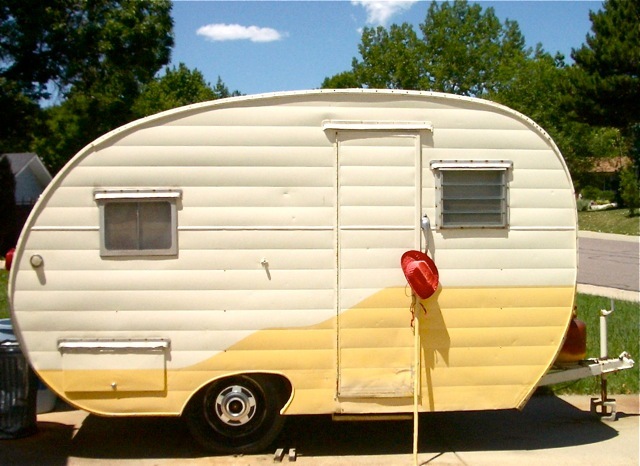 Given Melissa’s enthusiasm regarding Kathy’s own teardrop trailer, a photo of said trailer needed to be with this thread. Hence, the update! And I can just imagine what Melissa would do with that trailer! Agility trials! It would be perfect!!!! Melissa, this is our 50’s trailer and it needs a lot of TLC! But everything inside is original and working and it doesn’t leak. I am so glad Kathy shared this! Rick showed me an article a few weeks back and, for the life of me, I couldn’t find it again. Or remember what they called themselves. Thanks Kathy! Such a fun book! 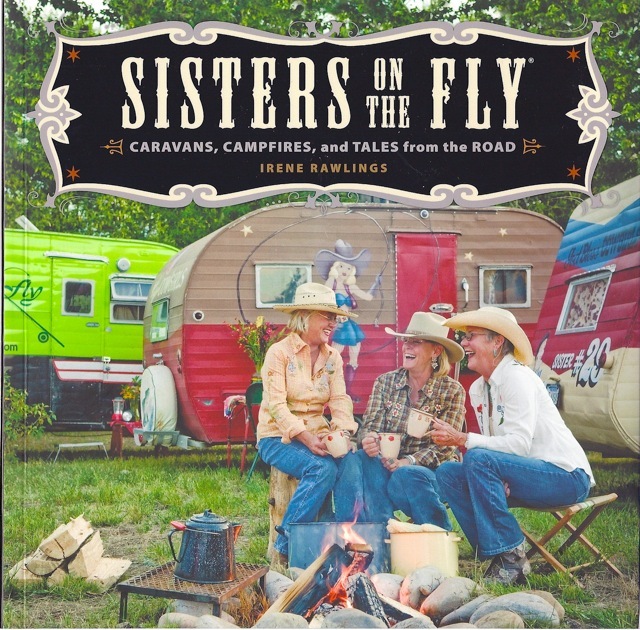 These ladies all fly fish and pull self-decorated trailers to campsites across the US. So how about the Lhasa Apso Ladies plan a rendezvous someday. We have a ’50’s, beat-up, teardrop trailer that sure could use some TLC…and something sturdy on 4 wheels to steady it over mountain passes! Can you think of decorating themes for the trailer interiors? And a great group name? Fur on the Fly? Laughing Lion Dog Ladies? OMG! Kathy you seriously have a teardrop ? I am so jealous, pictures please !! I have been scouring ebay and craig’s list for one…that they don’t want an arm and a leg for. Just a comment, so the edited thread shows up. See Kathy’s trailer! Can’t you just see the side of a trailer painted with a larger-than-life Josie scene, flying over a jump!! !